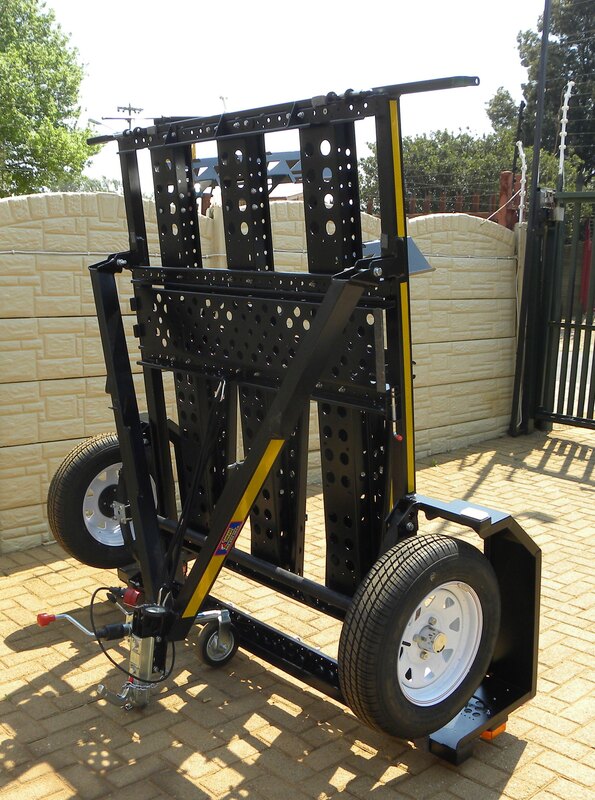 Our “Easy Loader” trailer also has the fully adjustable front wheel chock system, that will fit any tyre size. 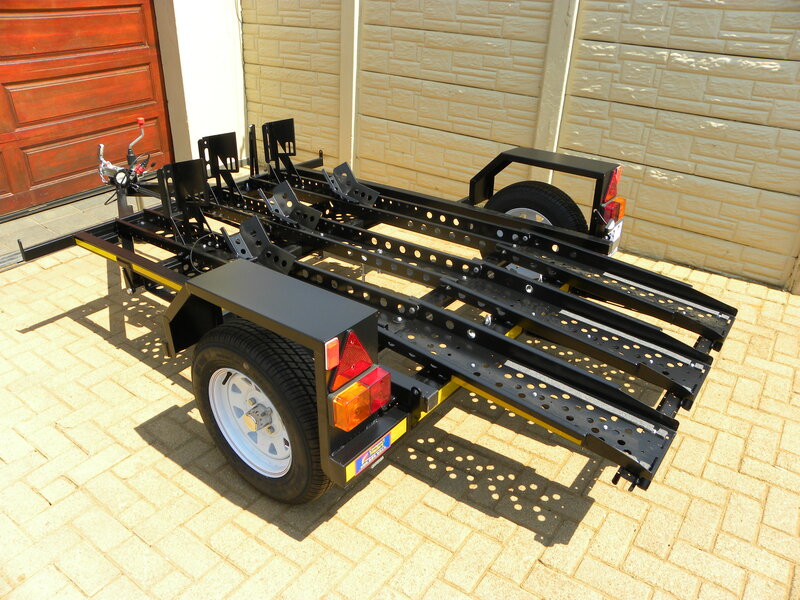 These trailers are designed with the bigger heavier cruiser bikes in mind, but can be used for all types of bikes. 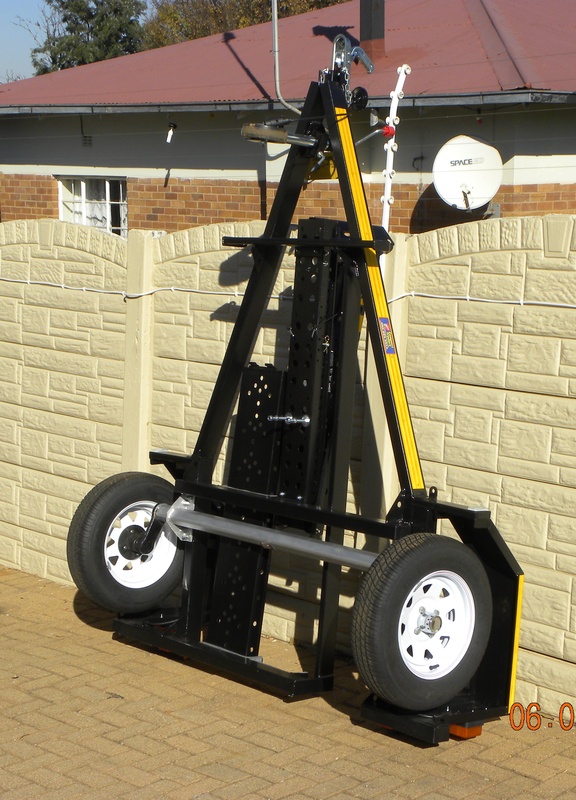 It has a leaf spring suspension, 13 inch wheels and runs in the track of the tow vehicle (1,75m) so any car can tow it, even small cars. 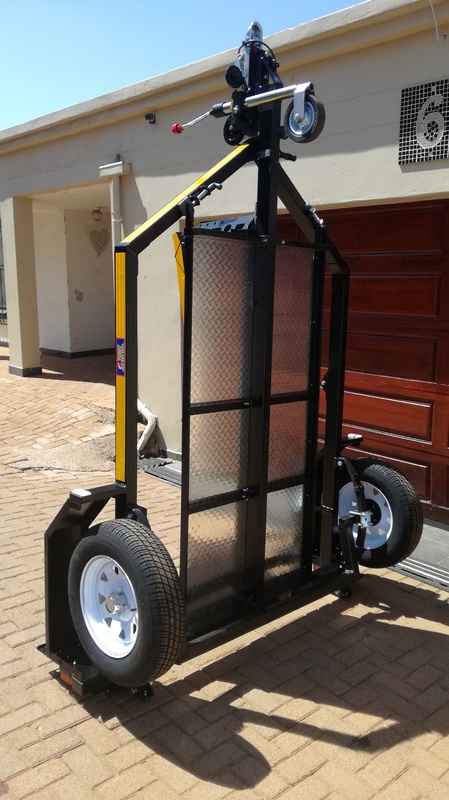 You can either push or ride the bike onto the loading channel, let go of the motorcycle once it is in the front wheel chock system, push the outer frame downwards or use the optional hand winch option (for big heavy bikes). 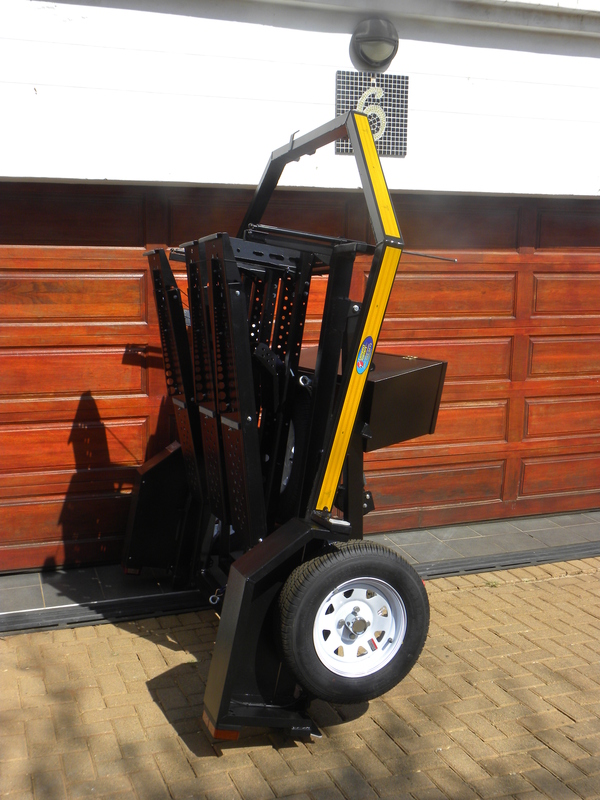 Do your tie downs and you are ready to go. 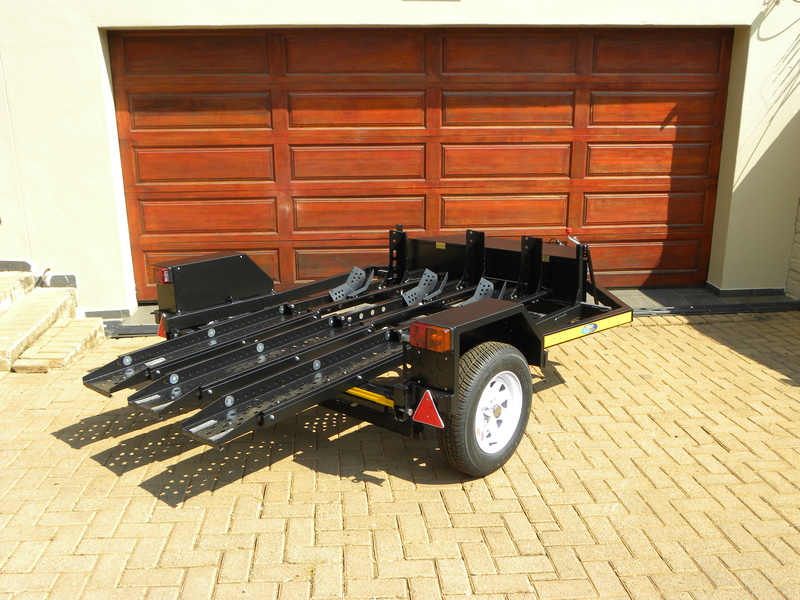 This trailer is designed to carry one motorcycle (in the middle) or two motorcycles on the side (up to adventure bikes) or it will carry 3 x mx/off road bike all facing forwards as the front wheel chocks are fully adjustable in length so handle bars do not clash, the loading channel are also adjustable left and right to create more space. 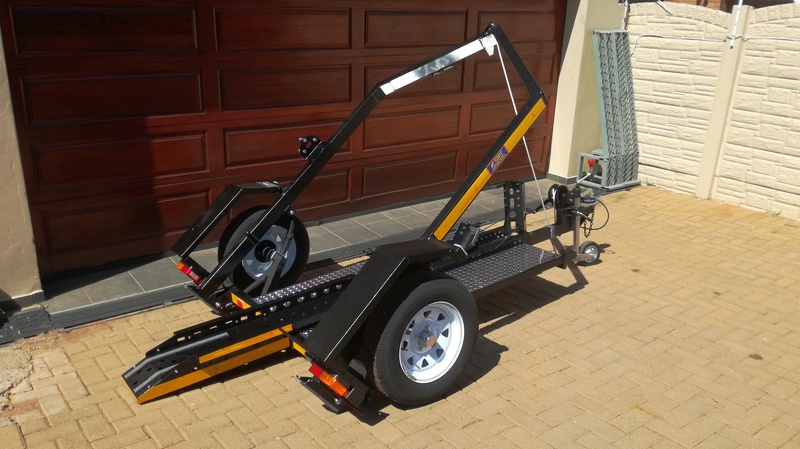 Our 2 bike trailer (as we call it) is not a Lazy Lowder trailer or Easy loader trailer or a Quick loader trailer or for that matter a Ground loader trailer, but it is ”much smaller”, “lighter” and compact than all of the other big and heavy trailers, , the channels are low to the ground making loading easy with the wheel chocks keeping your motorcycle upright. 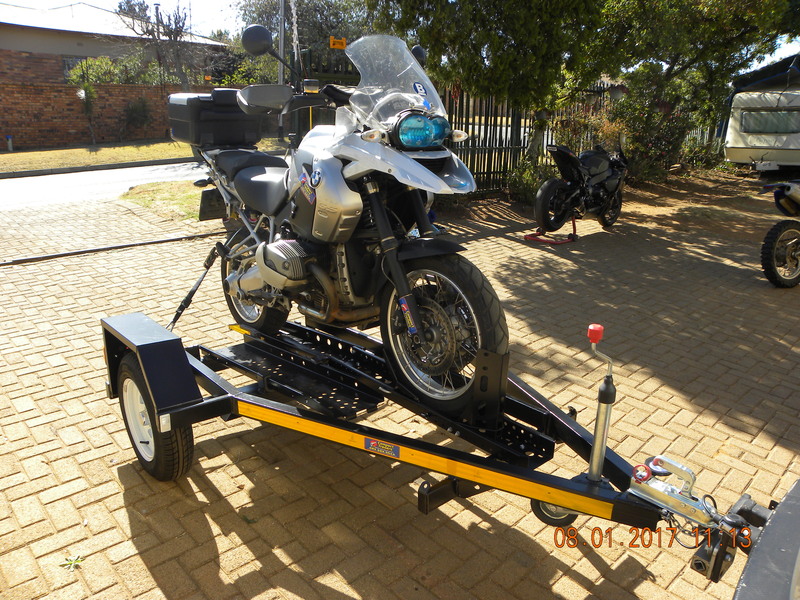 The lower centre of gravity also gives you superior towing no matter the speed, it comes with a short light weight ramp and we guarantee that your bike will not scrape its belly pan when loading, it has a full independent suspension, 13 inch wheels and runs in the track of the tow vehicle (1,85m outside width) so any car can tow it, even small cars. 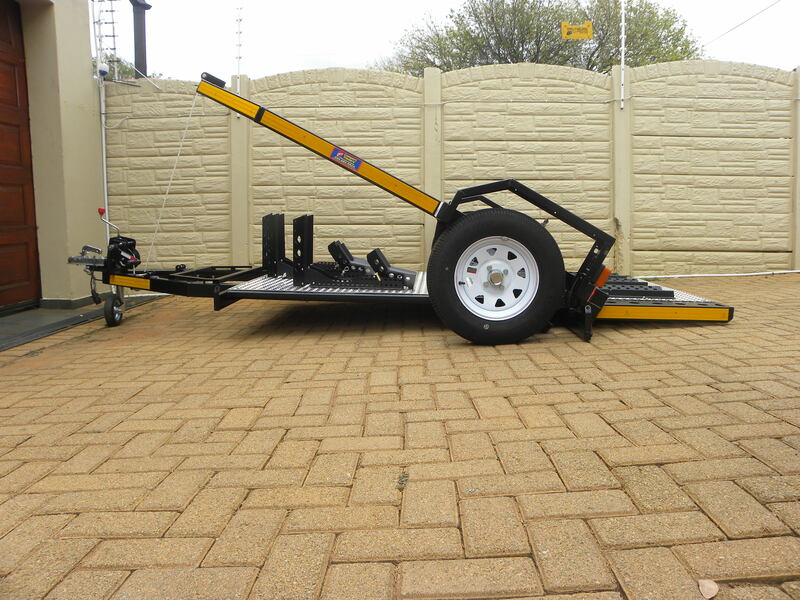 Our Easy loader trailer range drops the loading bed of the trailer to the ground for easy and safe loading by one person. 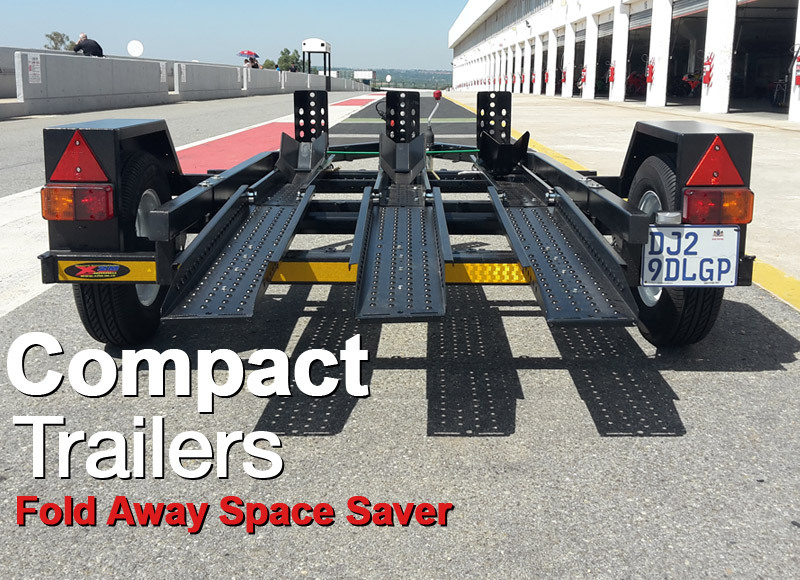 This trailer stores in an upright position saving space, tyres and bearings when not in use. 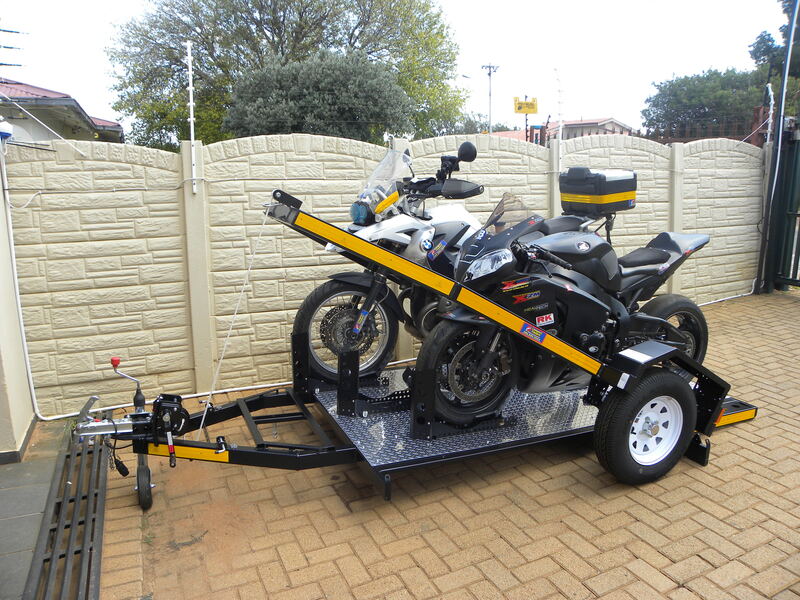 This trailer is designed to carry one motorcycle (in the middle) or two motorcycles (excludes two large cruisers at one time), it can also carry three mx/dirt bikes all facing forwards as the front wheel chocks are fully adjustable forwards and backwards so handle bars do not clash, the loading channels are also adjustable left and right to create more space for the motorcycle in the middle. Error: Error validating access token: Session has expired on Friday, 12-Oct-18 05:47:44 PDT. 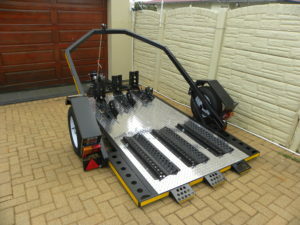 The current time is Friday, 19-Apr-19 09:56:36 PDT.